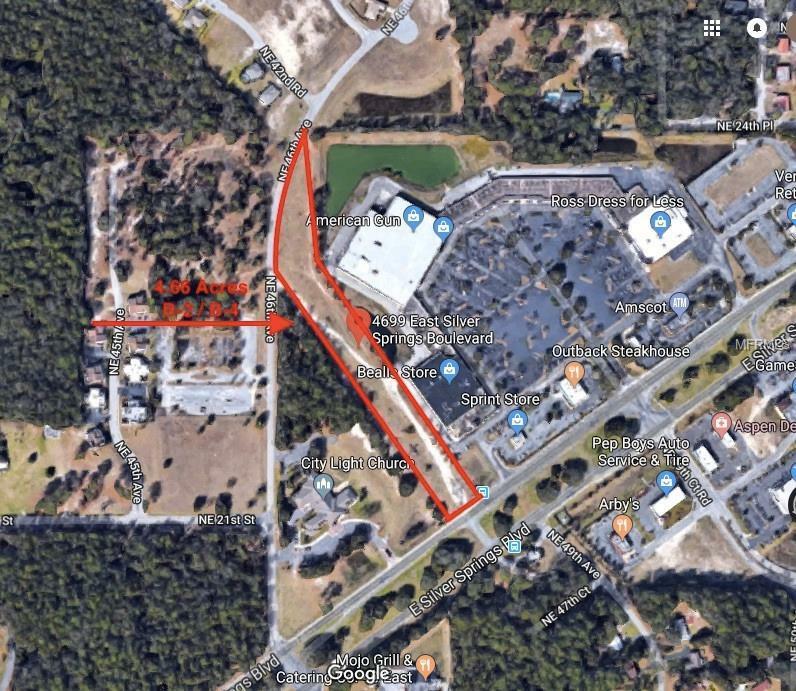 Perfect location for any local or national business wanting to make their mark in the ever growing E. Silver Springs Blvd area, which has become explosive within the last 8 months. Site sits across from Lowes with 150ft of Highway frontage on main thoroughfare, this Parcel is unique with 2 zoning districts. Front zoned B-2 and back 3.56 acres zoned B-4. Contiguous to the bustling Six Gun Plaza, this parcel is a perfect setting for an elongated footprint, such as a drive thru restaurant etc. 1 mile radius of Walmart, Multi-family, retail, restaurants, Civic Theater and Appleton Museum.